What is so special about love; especially first love? Why it touches heart and stays there forever? Why does it have a lasting impact all through our life? Why do the memories of first love stay within us compulsively; fresh and verdant? Why does its fragrance linger around even if several years are passed? Why does our brittle heart still ache and eye well up though several decades has passed? Why does it seem like life has moved on but the scars of first love and the pain it gave is still fresh? 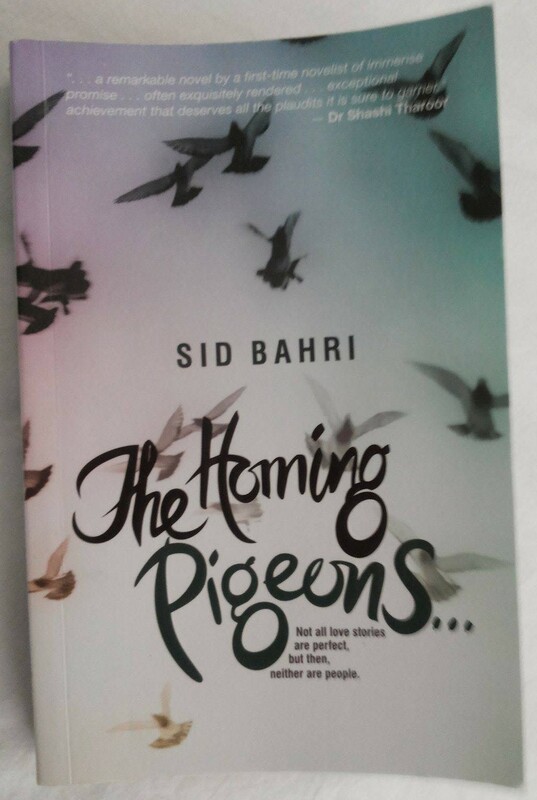 And Sid Bahri’s The Homing Pigeons is all about first love and its impact on the protagonist’s life. Aditya is a tall and handsome guy. He was a successful banker until recession hits. His life goes topsy-turvy. Many unexpected events unravel thereby rendering him a career; a kind of career which he had never dreamt of! Radhika is a village girl, yet well educated and well read. Her life changes on account of the death of her husband who was fighting with cancer. His demise coupled with the marriage of her step daughter renders her with the long forgotten freedom. But she struggles to come out with ways to make the most of it. And the story revolves around these two characters – Aditya and Radhika. The author dedicates a chapter to each one of them alternatively. And the narrative is so elaborate that we could envision them right from their birth. We are taken through their life in a detailed manner that we understand them in and out. We will know why they think in certain ways and why they behave in certain other ways. We totally empathize with them and move with them. The story glides with an ease. The simplicity in the language and intricacy in the narrative makes it an easy read. As each chapter ends we will be left with the anticipation to know what will happen next to them. The writing style is like that of a movie script. From present to past and suddenly to the present and back to the past again. And mind you, this shift is not tiring. It gels with the narrative and makes the story a unique and interesting read. The chapter keeps shifting between Aditya and Radhika. As we read continuously, especially when the chapters are lengthy, we may lose track of the other’s story. That would force us go back to the older chapter and read the last few lines to brush up our memory power. All said I loved the style. It is unique and outstanding. As a reader we will get a fair idea about the end of the story. Yet the author never fails to maintain the element of thrill. That adds to the alluring beauty of this story and the narrative. And here I say that the book will not disappoint you. It will take you through the lives of Aditya and Radhika and hey! The journey will be a memorable one. 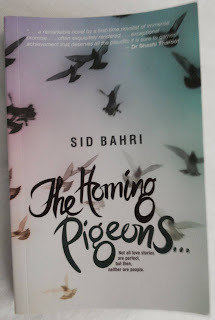 Thumbs up for debutant author Sid... Looking forward to read more from you! PS: Thanks Nimi of The readers cosmos. This is the first outcome from the association and I am looking forward for an ever continuing relationship.